The Lake District is not only famous for it's fabulous lakes and mountains but also for it's wildlife. 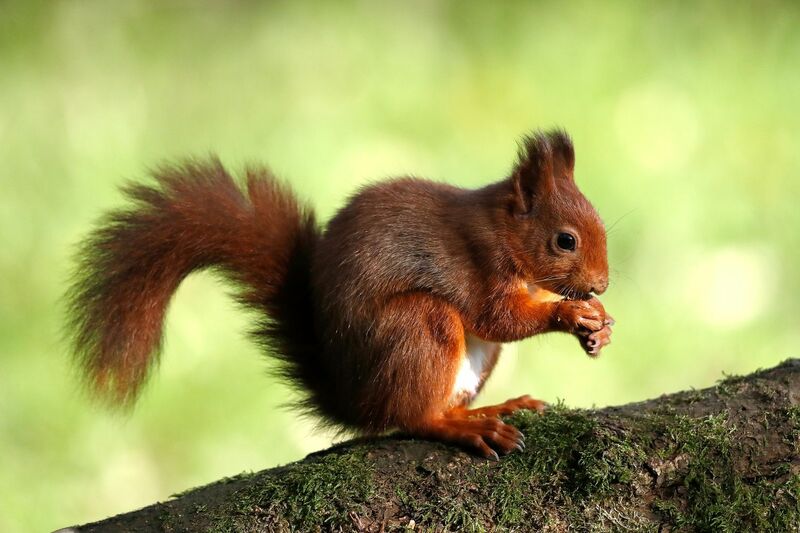 This is a beautiful Lakeland Red Squirrel in the autumn sunshine eating through lots of beech nuts ready for winter. A rare sighting of such a delightful creature.